Juneberry Lane: Lovely for Less . 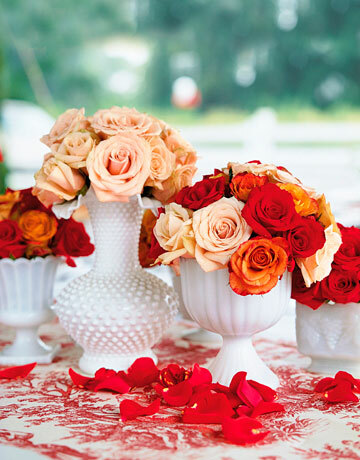 . .
Who doesn't love a gorgeous milk glass centerpiece; beautiful bouquets of blooms set amongst the bright white class of vintage vases is definitely a look that you're sure to love. But creating something this lovely can set you back a pretty penny. Milk glass can cost $30 and up a vase, depending on the size & condition, and when your dream consists of a cluster of three to five vases per every centerpiece and you have a room full of tables to fill, well this can get pricey!! But have no fear, because we've got you covered! 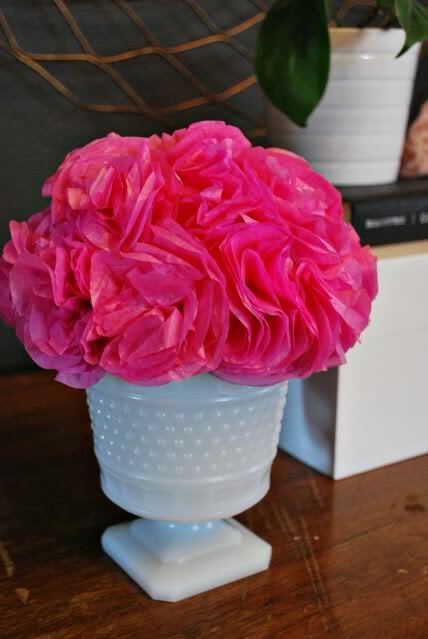 All you need is a determined little DIY bride or shower hostess and you will have the room bursting with whimsy in no time . . . for basically pennies too!!! Just follow along . 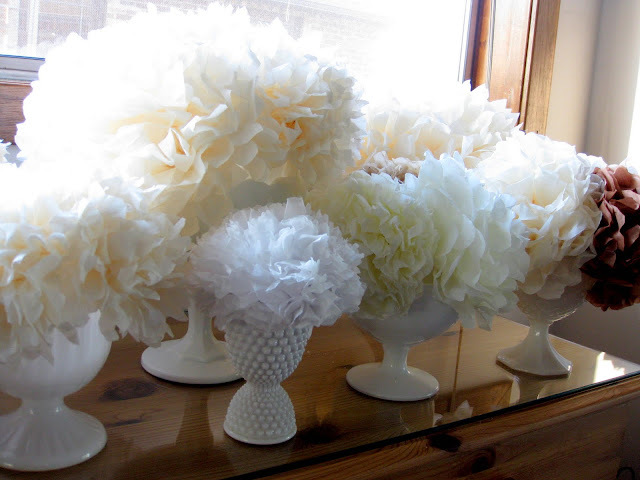 . .
Fresh blooms in bright white milk glass is the inspiration . . . 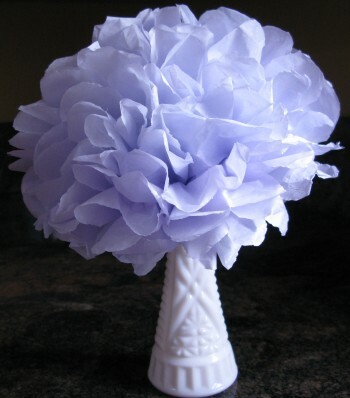 But let's save a fortune by using fluffy tissue poms or crepe paper flowers instead . . . Still need to make a major cutback on the cost? 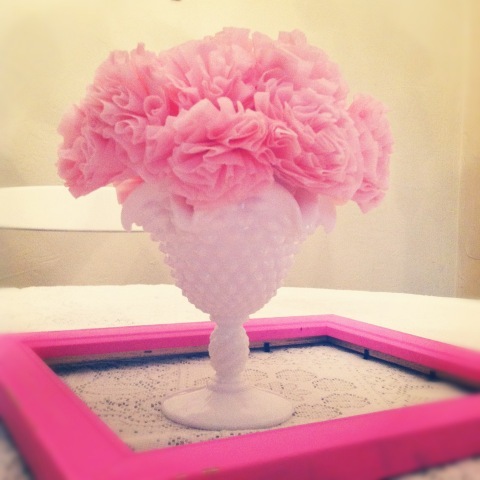 How about making your own milk glass then? Who knew it could be THIS simple?!!! That's right . 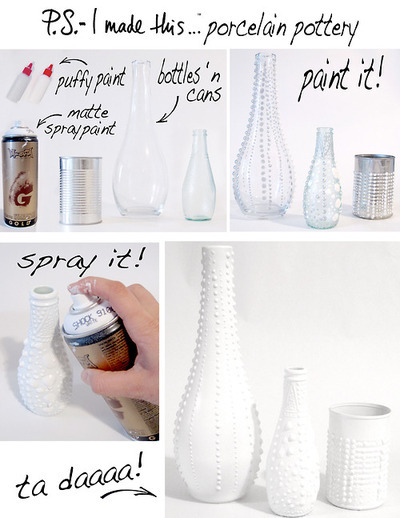 . . soup cans, glass cylinder vases from the Dollar Tree, and even soda cans can be dotted with puffy paint, allowed to dry, and then sprayed with white paint and you will have all of the vintage charm of milk glass with none of the price!!! Now that is pure thrifty brilliance at its very best!! !